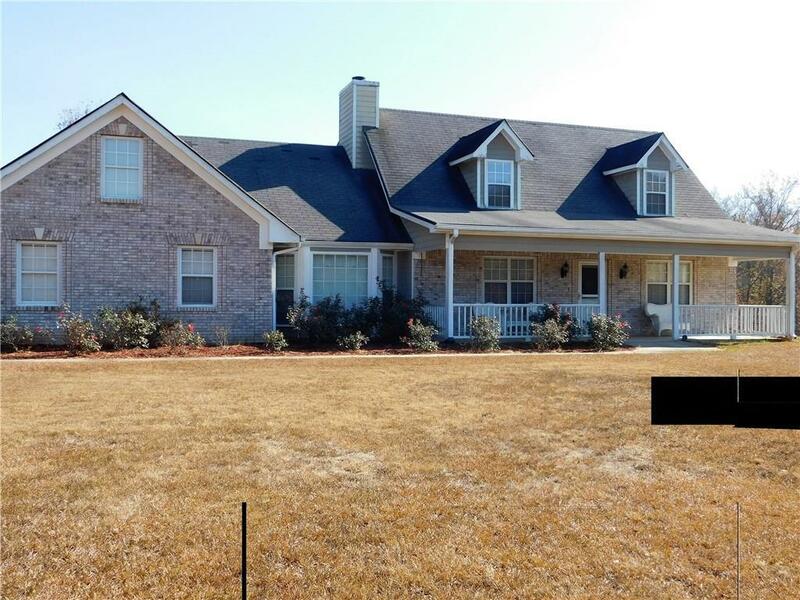 12 acre horse and cattle farm listed in Conyers Georgia, 10 minutes from the GIHP. The 6 stall pole barn along with fenced pastures makes this property ready for horse boarding, training, and lessons. The cozy farm house has an outdoor pool that overlooks the barn and pasture.Home has Master on Main, 2 bdrms upstairs with sep. bathrooms. Half bath on main. Hardwood flooring on Main. There is also a unused 3 stall barn in lower pasture that can be used. Home sits backs,private. Main Barn is behind home/pool. Second driveway for large truck/trailer parking. Directions: Hwy 138 To White Road. Coming From Monroe Turn Rt, Coming From Conyers Turn Lf. Home Will Be On Right. Two Driveways, 1st One Is For Trailer Parking And Second To The Home.